Tables Cook & Jonathan's Bookstore is a good cafe to stop by during shopping or going out, because it's located in Keihan Mall. I like its seasonal pancake among their various sweets. 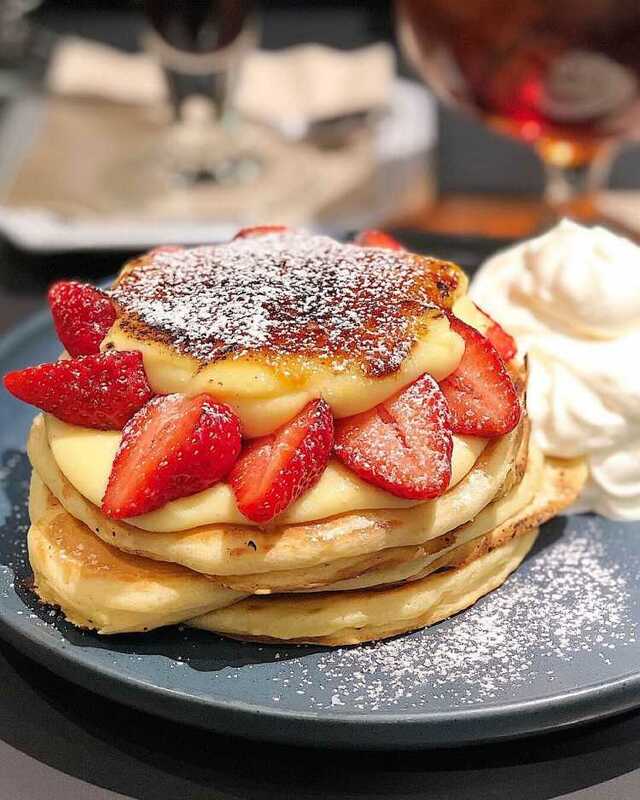 The strawberry and creme brulee pancake, which is on sale for only now, has addictive crispy brulee and Mascarpone cheese!